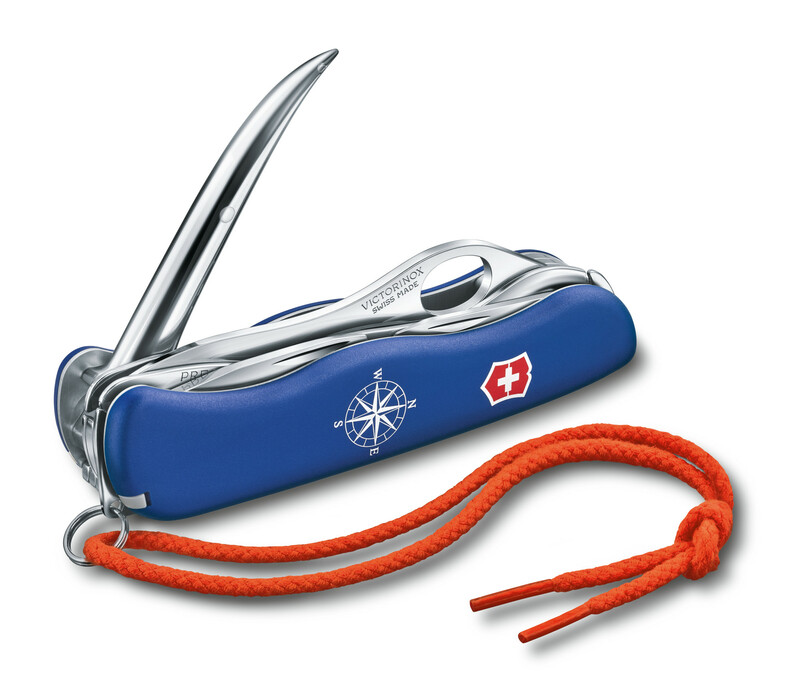 Carrying the Skipper Pro Swiss Army Knife by Victorinox is like having a mini crew on hand at all times. This unique sailing pocket tool features a robust, lockable marlin spike. The Skipper is also equipped with essentials that will make this multi-tool a must-have on dry land, as well, such as a large, one-hand-opening serrated locking blade, screwdrivers, and a bottle opener. The included bright orange lanyard makes the Skipper Pro easy to keep track of, even if the waves get rough. A liner lock system keeps the large blade of the Skipper open while in use, preventing it from closing unexpectedly. With the Skipper Pro on board, you are ready for anything a day on the water requires.